Merry Christmas Wishes foil rolled gift wrap is unbelievably thick. 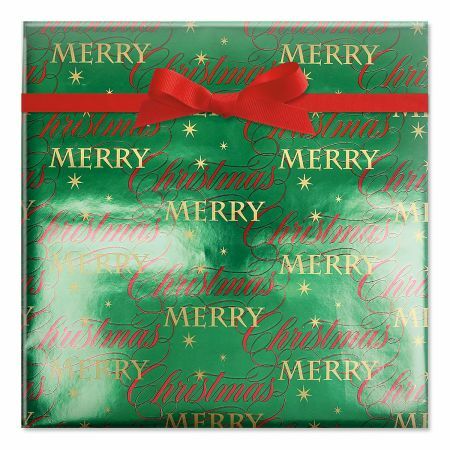 Superior quality, heavyweight wrapping paper makes a shining impression. Bow not included. Printed in the USA.